There’s no home improvement project too small for the team at Alleva Construction, Inc., so Hackensack, New Jersey, area residents know they can always turn to us for our comprehensive handyman services. We have decades of experience providing superior services to homeowners who want a skilled and seasoned company on their side for various home improvement projects, from larger remodels and home addition jobs to small repair jobs. In all these cases, our team can determine the root of the problem and tell you if a repair or replacement project would be right for you. 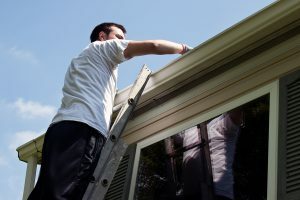 Other handyman services we can provide include dormer installation, painting, papering, and more – the possibilities are seemingly endless when you turn to Alleva Construction. For more information on the various handyman services we offer, contact Alleva Construction today and schedule an in-home consultation. We proudly serve homeowners in Hackensack, NJ, and the surrounding areas, and offer convenient financing options so that your repair project can be even more affordable. Plus, if you would like us to undertake a larger home improvement project, you can rest assured that we have the proper skills and experience to handle the design, permitting, and construction processes for kitchen and bath remodels, home additions, and various masonry projects. With the best financing in the region, you could have your dream kitchen for as low as $200 a month. With the best financing in the region, you could have your dream bath for as low as $125 a month. With the best financing in the region, you could have your dream addition for as low as $500 a month. With the best financing in the region, you could have your masonry work for as low as $100 a month. We work with you to create your dream on any budget. "Alleva Construction is a great business and they do amazing work. They are also very community oriented and give back to the fullest extent. I recently hosted a career day at my school and they did not hesitate to jump on boa"
"I just wanted to let you know that the electrician came and reconnected the light fixture that now works and Innovative Closet Design came again and rebuffed the glass shower door and it is now satisfactory. Thank you for all"
"I’m writing to provide a recommendation of the highest level on behalf of Alleva Construction. Living in a condo on the Hudson Waterfront, I had presented Alleva with a challenging and unique design/construction project "
"The bathroom is beautiful and everything works! Freddie, Kirin and the entire Alleva staff did a terrific job... attentive, informative and on top of the project. I also commend you in the professional manner in which you han"
"I had a stupid accident in my driveway in January when my car slipped out of gear and rolled into our shed. Causing damage to my car and even causing the shed to be moved off its foundation. We contacted Alleva Construction I"
"Bob and I wanted to take this opportunity to thank you for the beautiful renovations done to our home. Your vision for our home exceeded anything we could have imagined—driving up to the house and seeing the new front door,"
"I engaged Alleva Construction to assist in some emergency repairs and restoration work. Mike Alleva was immediately responsive to my call, understood and explained the required repairs in short order. His crew was at work the"
"We would like to take this opportunity to commend everybody at Alleva Construction for a job well done. It is imperative to say first and foremost that we wouldn’t have been able to preserve our sanity without the constant "
"We’ve always defined customer service as “being able to successfully anticipate and exceed customer expectations”, and, if Alleva & Co. were just another general contracting firm we probably wouldn’t make the effort t"
"I want to take this opportunity to thank you for the services your company performed at Company No. 1, Yawpo Fire House, Oakland, New Jersey. Your office staff was courteous and responsive and always responded promptly to "
"We highly recommend Alleva Construction. They have done quite a few jobs at our home, and we are very pleased with their work. They are reasonable, reliable, and efficient. Their work is always done in a timely fashion. They "
"We are very happy with our new windows. They look great, and we no longer hear the traffic. Mike's idea, framing them, is the perfect finishing touch. Your masonry work is first rate. Whatever the job, we call Alleva first"
"Alleva Construction has done the work on my house for the past six years. They have done construction, repair, and replacement work. In my opinion, Alleva Construction is simply the best construction company I have ever found"
"I thought it would be appropriate to send you a note commending the work done in my home over the course of 1999-2000. I have been surprised to find out how consistently thorough, professional, and neat your team is. I have a"
"Alleva Construction has just completed a large renovation to our home consisting of the following: New and Expanded Kitchen Expanded Family Room incl. Bricking of Fireplace and Hearth Conversion of Porch to Year-Round He"
© 2008-2019 Alleva Construction Inc.